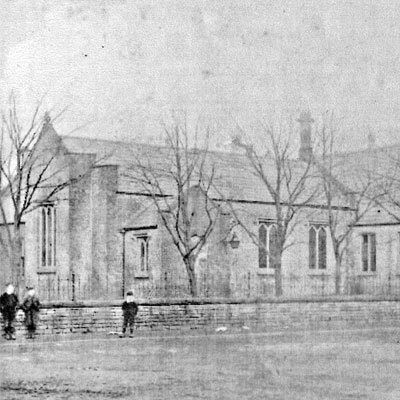 On May 25th 1950 The Poynton Social Centre, as it was then known, was placed upon trust to “permit the same to be appropriated and used for the maintenance and improvement of the physical and mental training and recreation, social, moral and intellectual development and the well-being of persons resident in the Parish of Poynton-with-Worth in the County of Chester” These words are taken from the original trust deed signed by Joseph Higginbotham, Ezra Wainwright, Charles William Piggott and Francis William Openshaw. Over the years since 1950, your Centre has undergone many changes, some lows, some highs but despite all those changes it is still your Centre, managed by a team of volunteer Trustees on your behalf. It is home to many community groups and classes and is available for you to hire for your community event or private party. This last two years has seen much needed major investments designed to keep the fabric of your Centre secure for the future. So when you need a venue for your event, remember the Centre belongs to you as a resident of Poynton with Worth and by using it you are doing your bit to ensure your Centre is there for the next generation. 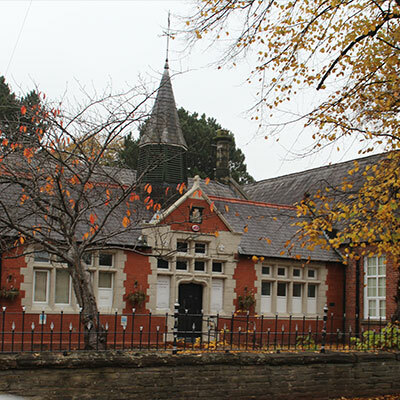 1838 a village school was built to provide education for the local miner’s children in Poynton. With a growing population due to the increase in mining activity the school was extended in 1850, and then again in 1890. In the late 1990’s a new extension was added to provide extra classrooms. During World War II the school was used by the local Home Guard as its headquarters. Then In 1946 it was purchased from the Poynton Collieries Company by two villagers, Mr William Jones Davies and Mr Joseph Higginbotham. In the 50’s and 60’s the centre provided a thriving venue for many local groups and clubs. During the 70’s and 80’s the centre became the number one “Folk Centre” in the country hosting many musical and social events. Today the centre is run by volunteers who ensure that the original 1947 constitution continues to be upheld by providing a venue for a variety of clubs, societies, educational courses, social and musical events to take place for the residents of Poynton and its environs. The Centre in Poynton belongs to you. All residents of our great town and its environs own the building through a ‘Charitable Trust’ that dates back to the early 1950’s. The trustees run it on your behalf as a great community asset that provides space for all sorts of community programmes. Associate members are invited to the AGM and have a say on how the Centre is run. Just imagine what we could do if all 16000 Poynton residents became associate members, we could have a superb community facility that could provide a great wedding venue, concert venue and so much more. It’s your Centre, so please let’s make it the best Community facility for miles around. This historic hall dates back to 1850. Recently redecorated the hall is full of character with a high ceiling. The hall covers 124 square metres plus a large stage. It can be configured for dancing, receptions or performances (chairs with or without tables).The capacity ranges from 100 to 150 depending on configuration. It has direct access to the bar. The small hall is part of the original building erected in 1838 and was the original school room. It has recently been refurbished and is ideal for a reception or as a small performance area. The stage area is in front of the original 1838 large window. The stage has 2 wall mounted loud speakers (hirer to supply amplifier) The hall covers an area of 75 square metres, plus adjoining anteroom of 28 square metres. It can accommodate 60 to 90 people depending on layout. Use of the ante room increases capacity to a maximum of 120 depending on layout. Ideal for small meetings or presentations, the North Room can seat up to 40 depending on configuration and covers 43 square metres. It features floor recessed power points so can be used for computer classes. The LED lighting has dimmer controls and the room is Wi-Fi enabled. Prices from £13/per hour, £65 per day. Our modern classrooms are equipped with projection screens and whiteboards. These are situated in the Education Block which has its entrance at the rear of the building via an access ramp. The classrooms benefit from independent kitchen area use of which is included in the hire charge. 11.00 until 15.00 - Lots of local arts and crafts stalls and plenty of new ones for the first market of the year!